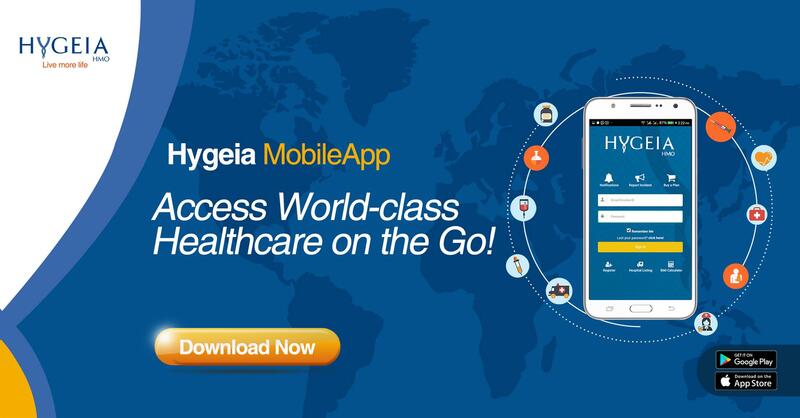 The Hygeia HMO Mobile App is your gateway to your healthcare information as you can access all your benefits at your convenience from your mobile device. 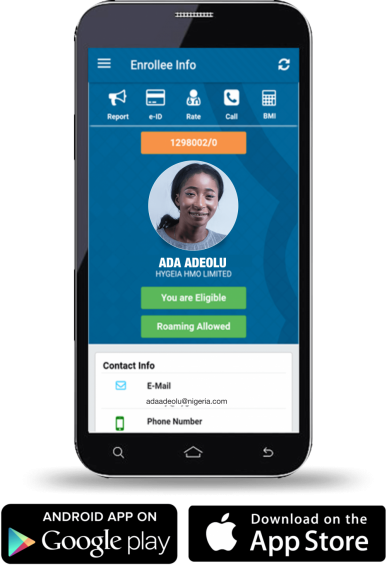 This app allows you to confirm the providers you have access to, view an e-version of your ID card, track your limit usage, and locate a hospital near you, check your Body Mass Index and much more. I could access my enronlee number. We’d love to have you, Stephen. Please email us hycare(@)hygeiahmo.com and we’ll get you sorted. Hello Henry, please send us a quick email on hycare@hygeiahmo.com and we’ll get this sorted for you. Hello Paulinus, You can get the app in your phone’s app store. Just search for ‘Hygeia HMO’. Thanks! Hello Oluwafunmilayo, please send us a quick email with your enrollee number to hycare(@)hygeiahmo.com and we’ll help resolve. You can also check on our mobile app! Good day sir, will want to find out if my provider is affected in this new reform my hospital is ST MARTIANS HOSPITAL . Hello Godwin, no worries. Only hospitals listed are affected. Hi Hygeia,my name is Godpower Tamarakuro Pekipuma,pleaae I don’t understand the message you guys sent me, sending me list of hospital in portharcourt,i leave in Lagos Nigeria,please go e the nearest hospital close too me at Ebutte metta. Thanks for your help,i will really appreciate your your feedback. Greetings, please I want to change OBIOMA HOSPITAL in umuahia metro poly to HAMMER SMITH HOSPITAL which is more lively, OBIOMA hospital is dead, please how do I go about the change? Hello, i am Ralph in Onitsha. I have downloaded ur Apps and followed ur instructions severally but have never succeeded in registering on the Apps because it never responds again as soon as I click the”Register” button. I am stuck and can not access ur services ever since. Hello Ralph, please send us an email to hycare@hygeiahmo.com and we’ll get this sorted out for you. Thank you so much. i downloaded the mobile app and installed it, but login in has been difficult, kindly advise on how to rectify it. it brought up wrong user name and password, i changed the password, still i cant login. Hi there, Alhaji. Please send us an email to hycare@hygeiahmo.com and we’ll get this sorted out for you. Kindly help me to find out any hospital under Hygeia HMO in Agbowa Ikosi of Lagos State, thank you. Good morning sir/ma,I stays @ orile inganmu pls I want to know the hospital I will be using.